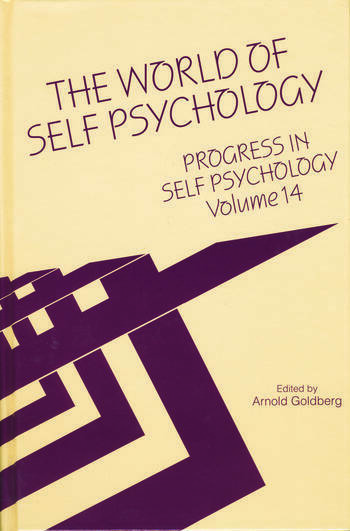 Volume 14 of Progress in Self Psychology, The World of Self Psychology, introduces a valuable new section to the series: publication of noteworthy material from the Kohut Archives of the Chicago Institute for Psychoanalysis. In this volume, "From the Kohut Archives" features a selection of previously unpublished Kohut correspondence from the 1940s through the 1970s. The clinical papers that follow are divided into sections dealing with "Transference and Countertransference," "Selfobjects and Objects," and " Schizoid and Psychotic Patients." As Howad Bacal explains in his introduction, these papers bear witness to the way in which self psychology has increasingly become a relational self psychology - a psychology of the individual's experience in the context of relatedness. Coburn's reconstrual of "countertransference" as an experience of self-injury in the wake of unresponsiveness to the analyst's own selfobject needs; Livingston's demonstration of the ways in which dreams can be used to facilitate "a playful and metaphorical communication between analyst and patient"; Gorney's examination of twinship experience as a fundamental goal of analytic technique; and Lenoff's emphasis on the relational aspects of "phantasy selfobject experience" are among the highlights of the collection. Enlarged by contemporary perspectives on gender and self-experience and a critical examination of "Kohut, Loewald, and the Postmoderns," Volume 14 reaffirms the position of self psychology at the forefront of clinical, developmental, and conceptual advance. Arnold Goldberg, M.D., is the Cynthia Oudejan Harris, M.D. Professor, Department of Psychiatry, Rush Medical College in Chicago, and Training and Supervising Analyst, Institute for Psychoanalysis, Chicago. He is the author of a number of books, including Being of Two Minds: The Vertical Split in Psychoanalysis (TAP, 1999) and Errant Selves: A Casebook of Misbehavior (TAP, 2000).